July 2011, amidst the heavy Mumbai rains, I landed in this city of dreams. I had a new job, and this was going to be my new place of work. I had mixed emotions then. 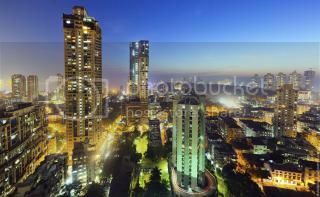 Mumbai was touted as an expensive and difficult city to be living in. The famous (or infamous) pace of the city was a cause of concern, more so as I was relocating from the calm and peaceful Bangalore. Overcoming all of that, I think the last three years have been an amazing experience in this City. These last three years have developed many a fond memories that I would be cherishing for a long time to come. I still remember during my first week in Mumbai, I had complained to my manager how I already hate the city due to its rains and the overcrowded roads. She very calmly smiled back at me and said, “give it some more time. Mumbai would grow on you and you would start liking it”. Grow on me, it truly did, so much that I now find it difficult to leave this city. After the horrendous experience in the first month, where I had to commute by the non-existent auto to office every day from my hotel, I had decided that I would stay as close as possible to my office. My 1 bhk flat, was a 10 minutes’ walk away from office and I so much loved it. Think, this was one very big factor that helped foster my relationship with the city. I could avoid its roads and traffic that it was unpopular for. Catching up with old friends, working double triple hard on my new job, and spending sleepless nights to catch up with the city comprised my first year here. I was staying alone, and all of my weekends would be with friends trying to explore the city. Different places to eat, to hang out and every possible popular pub in the city was on the radar in the first year of my stay here in Mumbai. Our new found interest in plays comprised a vital part of our weekends those days. We religiously checked the schedules of Prithvi Theatre in Juhu and made up our plans around it. Like every city, I developed my own favourite places to hang out, where I could spend hours and hours together. Powai was one of them. The whole locality gave a very European feel to it, and I wish that I could stay here someday. The other favourite is Colaba causeway. The whole street has fascinated me right since my Summer intern days, where it turned to be a daily hangout place, from our hostel near Chruchgate. And like I have a favourite coffee shop in every city, Mumbai too had one – the CCD at Carter Road, Bandra. I remember having spent hours and hours there. This place just made me forget all about the daily life chores and helped experience a different world. This was pure meditation! The entry of Starbucks did not change this preference at all. This, and many other experiences truly enriched my stay here for a little less than three years, and yes, I would love the opportunity to be residing in this city again someday. For Now, Gurgaon it is!